Omar Darnell Blackwell, son of Starlee Selby Blackwell and Richard Blackwell, was born on November 29, 1974 in Wilmington, Delaware. He departed this life on Monday, November 19, 2018 at Bayhealth Medical Center. Omar received his early education in the public schools of New Castle and Wilmington, Delaware and graduated from Howard Career Center in 1994. Omar received an Associate Degree in Nursing from Delaware Technical and Community College and went on to receive a Bachelor of Science in Nursing from Wilmington University. 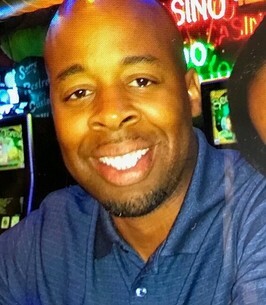 At the time of his death, Omar was a student at Walden University’s Psychiatric and Mental Health Nurse Practitioner master’s degree program. Omar held several jobs during his lifetime including Take-A-Break, Inc., Comcast, Dover Behavioral Health, Meadowwood Behavioral Health as an RN and Verizon where he had been employed for the last 24 years as a Splicing Technician. In his spare time, Omar enjoyed spending time with his daughters, cooking his favorite meals, eating at his favorite sushi restaurants, watching Sunday football and watching his favorite game show, Jeopardy. Omar will be remembered for his hard-working nature, his seemingly never-ending wealth of knowledge, his warm personality, generosity, and great sense of humor. Omar was preceded in death by his wife; Twylah Johnson-Blackwell; his father, Richard H. Blackwell; and his grandmother, Shirley Jordan. Omar leaves to cherish many fond memories; his daughters, Kiara Pritchett Blackwell, Amani Blackwell, Jada Blackwell, Gabrielle Batchelor; his mother, Starlee Selby Blackwell; siblings, Shannon Selby, Richard Blackwell, Tia Blackwell and Patrissa Blackwell; aunt, Linda Roberts; uncle, James Jordan; father-in-law, Stanley Johnson; sister-in-law, Sonia Johnson; mother-in-law, Valerie Tilllman; devoted friends, Neoshia Blackwell, Denzil Penn, Jeffrey Weglars, Jonnina Savage and Rockey Poeta; and a host of nieces, nephews, great-aunts, cousins and friends. 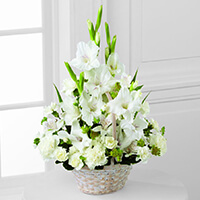 To send flowers to the family of Omar D. Blackwell, please visit our Heartfelt Sympathies Store. We encourage you to share any memorable photos or stories about Omar. All tributes placed on and purchased through this memorial website will remain on in perpetuity for future generations. My sincere condolences for the loss of your loved one, may the God of comfort be with the family during this most painful time. Please find comfort from these scriptures, 2 Corinthians 1:3, 4 and Isaiah 25:8. For Omar Blackwell being a good friend and coworker. Thank for the memories. Would love to plant a memorial tree in honor of Omar! He was truly a cool guy! He will be missed! My condolences I extend for the passing of your loved one, Omar. He will be missed. May the love and memories you have for him continue to sustain you as you deal with his loss. May "the God of all comfort," (2Cor.1:3,4) be with your family as well. May each passing day get a little easier as life tries to return to normal. Our thoughts & prayers are with you and your family. My heart is still so sad and broken to know that O unexpectedly and suddenly passed. My thoughts and prayers for everyone that knew and loved him; especially his children. May God comfort you all.